Mickey's Royal Friendship Faire is still fairly new at the Magic Kingdom, but it is already a big hit. This castle show features many classic characters, as well as the stars from Princess and the Frog, Tangled, and Frozen. 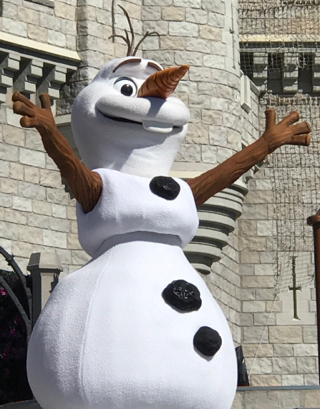 I was right near the stage with some tour guests when I snapped this shot of Olaf last week.